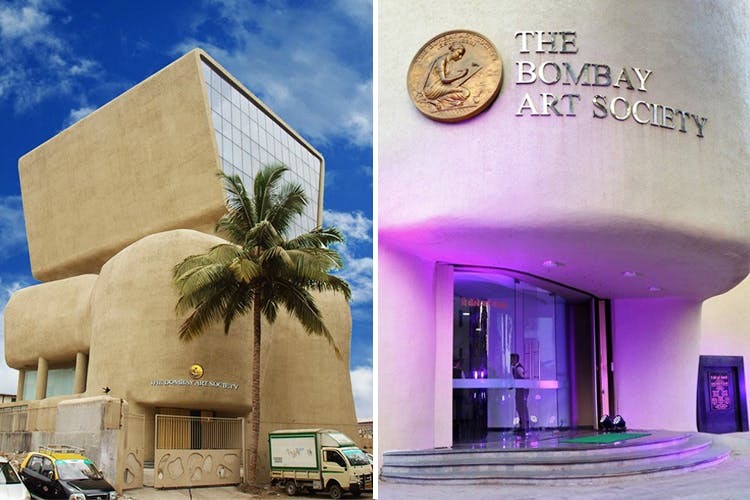 The Bombay Art Society is a 127-year-old art society established by the British way back in 1888. It’s known for its quirky and almost weird architecture in Bandra. Founded way back in 1888, Bombay Art Society is synonymous with India’s Independence movement – at least when it comes to Indian art finding its place in the public space. Colonial rule was being challenged by the Indians and art in general had been changing in the sub-continent. The society has functioned out of Jehangir since 1952 up until 1990 when this building found its home in Bandra Reclamation. The society was created to push and provide a platform to the British artists in India, and slowly more and more Indian artists started getting involved with this society – its annual art exhibition being a significant event all year round. Its contemporary architecture which has been designed by architect Sanjay Puri, who took inspiration from the Cubist sculptures and buildings. The gallery is a known landmark in Bandra however often often skips that it’s a beautiful and resourceful art gallery housing work by Indian and global artists. One may even call it an expressionist building owing to its spectacular and modern architecture – a rarity to find in India. The annual art exhibition is held at Jehangir Art Gallery, with a grand reception of almost 250 artists. Next time you cross the building, take a moment to appreciate the society’s grand history and its current existence. If you like, go ahead and roam around the gallery as well.